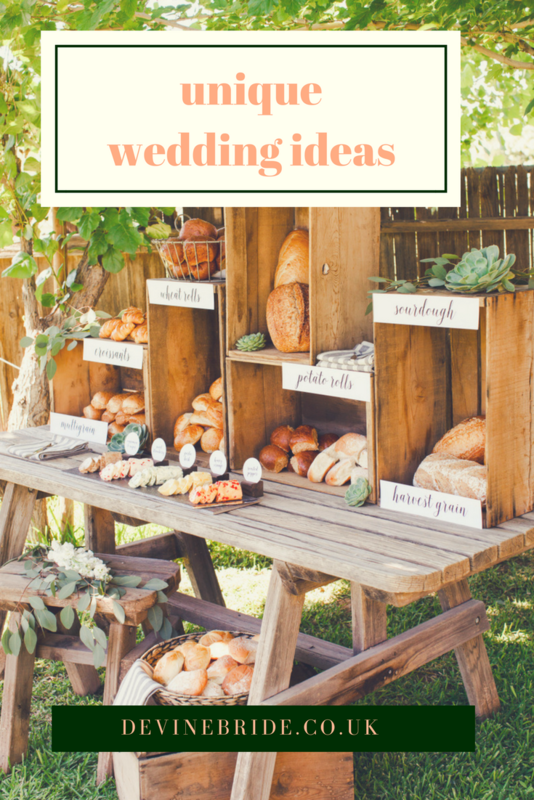 Need a fun selection of ideas to help you inject some personality into your wedding? I’ve got you covered! Big, white, traditional weddings can be beautifully classic but I’m finding that my couples are looking for more ways to show their unique style. Your wedding day should be as unique as you (both) are, so why not think outside the box a little? I’ve got a selection of styling ideas, games and food options to share with you… and remember that each idea in this post can be adapted to suit your taste and theme, but this is just to get you started! 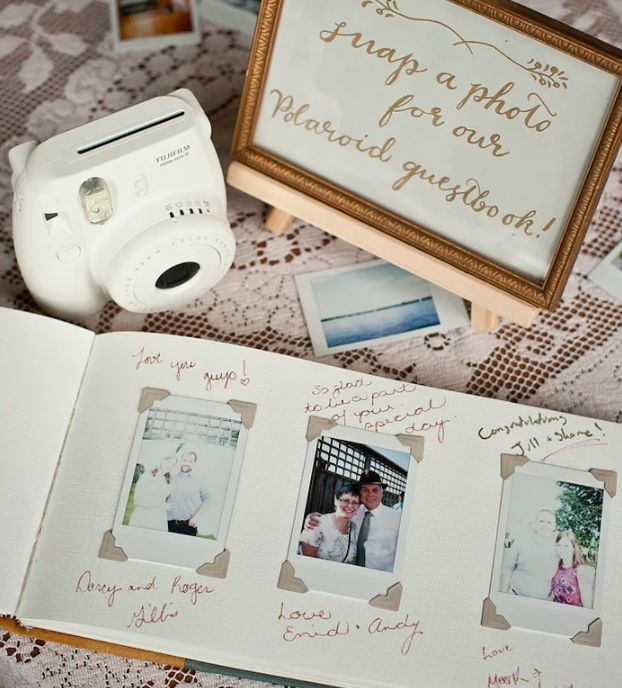 Instead of your traditional guest book why not style up a table with an instant camera like a Polaroid or Fujifilm Instax, pens and pretty photo mounts to invite your guests to snap a photo? So much more fun than your basic book. Image via Make Merry. There’s no need to fork out for expensive catering equipment to keep your drinks cold. 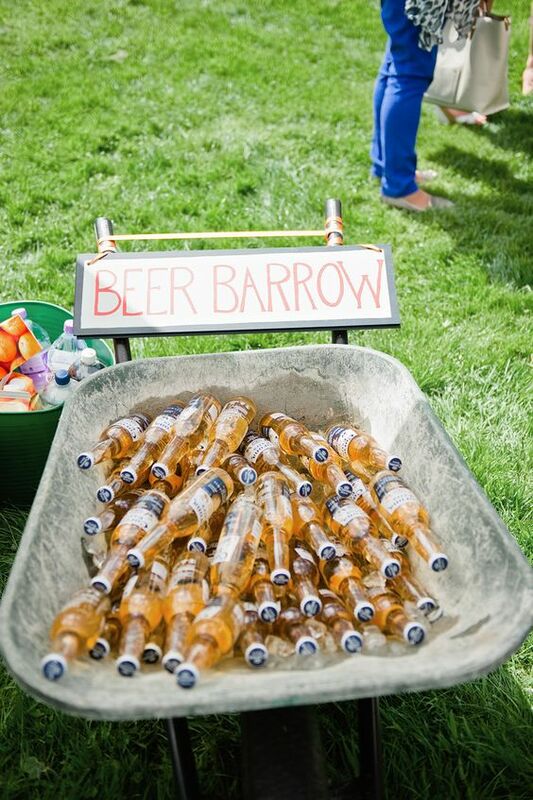 If you’re planning a festival, boho or relaxed wedding, or to be honest just a party wedding, all you need is a wheel barrow or tin trough to serve your bottled drinks. If you’d like to offer more than one option you can rent smaller metal containers for each drink. Head to charity shops and flea markets to pick up some cool one-off unique items that will serve as meaningful memorabilia afterward to keep for years to come. Image via RMW. A photo display area is a great way to honour anyone who couldn’t make it to the wedding but it can also serve as a DIY photo booth idea. 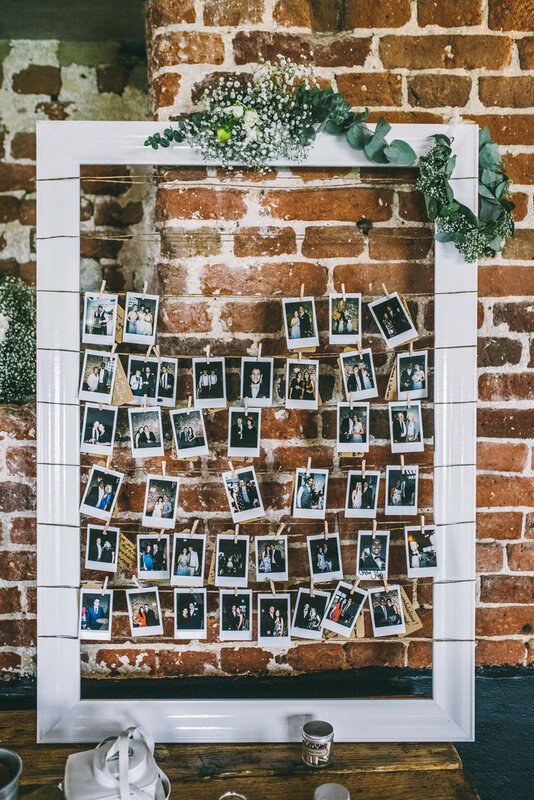 Place a large frame near a pretty wall with a few polaroid cameras (and maybe some props if you’re felling silly) so guests can snap photos of themselves all night. Image via WWW. If you want to create a relaxed or non-traditional wedding, buffets are the way to go for the food. We’ve all seen dessert tables and cheese boards but why not choose something from your family heritage or culture (or even a family recipe), to represent both of you on the day? 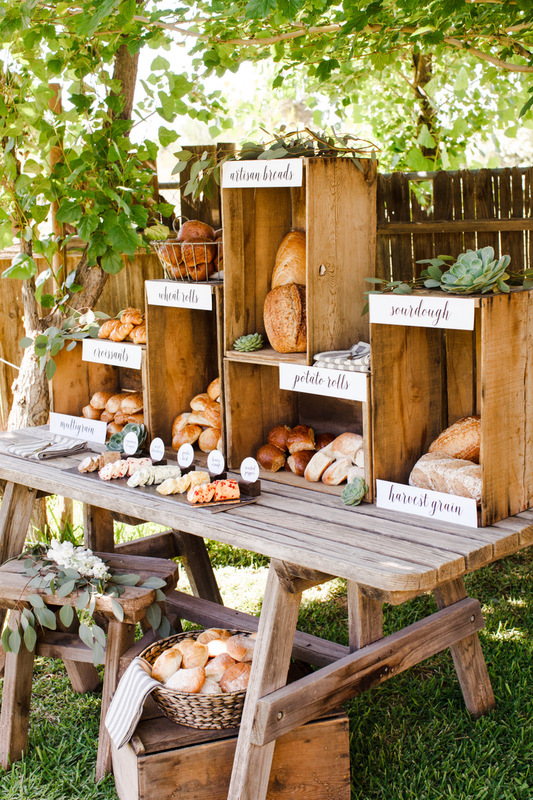 This bread buffet idea looks incredible, you could offer sweet and savoury condiment options and bring in a cheese board or two to bulk it up. Image via The Tom Kat Studio. This is a fantastic favour idea, leave your mix by the guest book or on your guest’s tables for them to take away and enjoy afterwards. 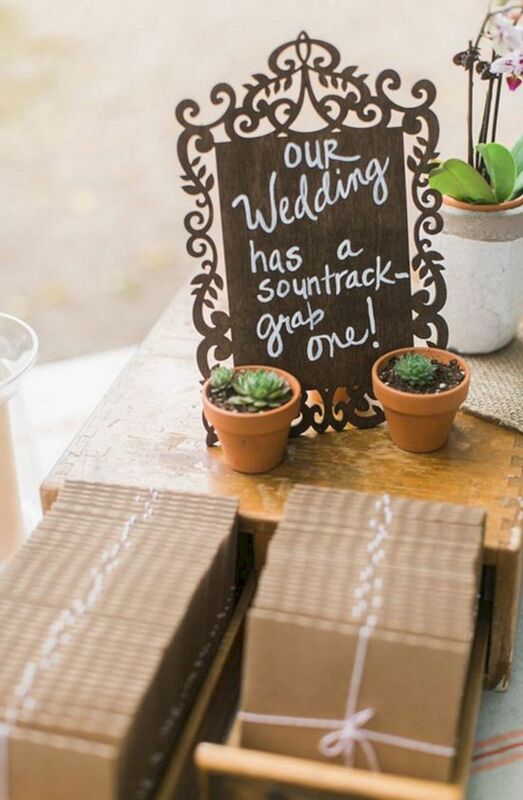 Creating a personal soundtrack is a lovely way for the whole wedding party to reminisce and relive the entire day, plus it’s super cost effective while still being super personal and thoughtful. Image via Hi Miss Puff. To help people mingle during the drinks reception it’s a great idea to have some games lined up. I love this tin can skittle idea as you can decorate the tins to match your wedding theme or colours, plus it’s so inexpensive to create. 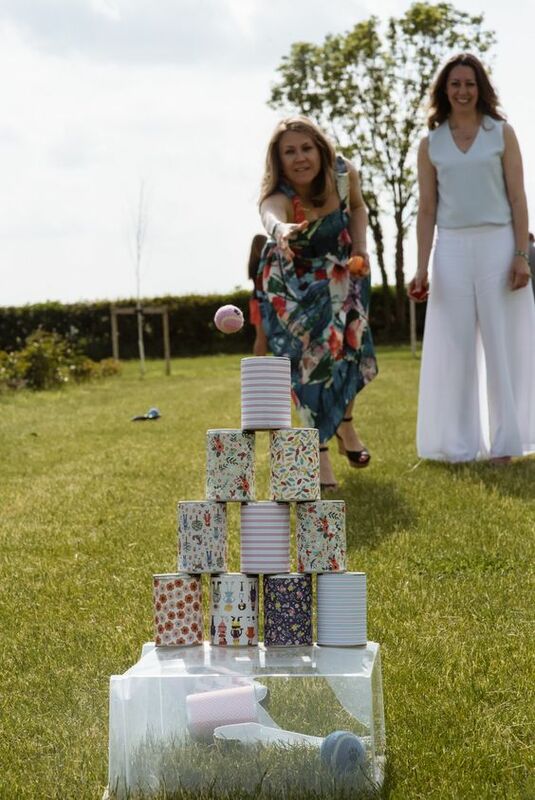 Think of the old fashioned sports day games you did at school like sack races, egg and spoon and three legged races to get people talking – games are a great way for your guests to get to know each other a bit more… meaning a bit more fun on the dance floor later! Image via Toast. 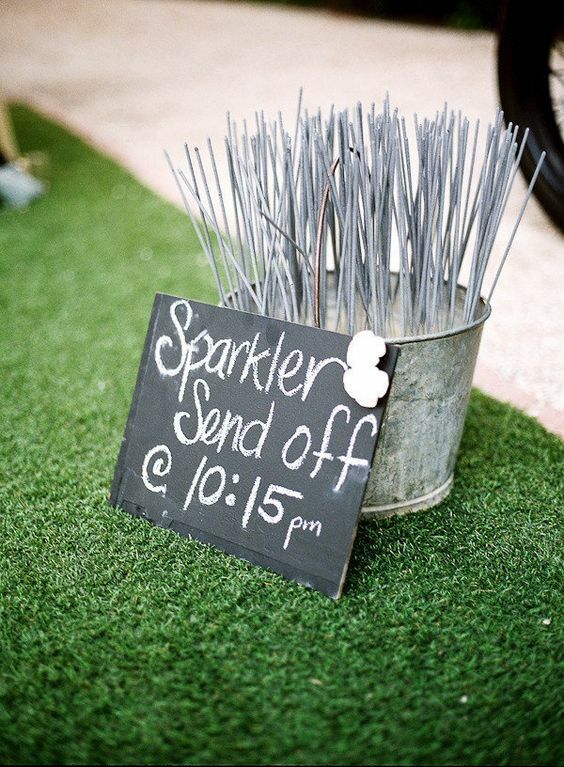 If you’re planning on leaving the party before your guests, sparklers are a great send off. This will make for some excellent photos and let’s be honest, sparklers make people happy no matter how old they are! Some venues are funny about sparklers, so streamers, glitter, or a second round of confetti are also a great for a photo opp. Image via Style me Pretty. Instead of the formal wedding breakfast why not offer your guests something a little more interesting? Street food options will please everyone and you can hire almost any kind of food in a truck these days; ice cream, oysters, tacos and even a mini draft beer van. Pick a few options and have your guests serve themselves. 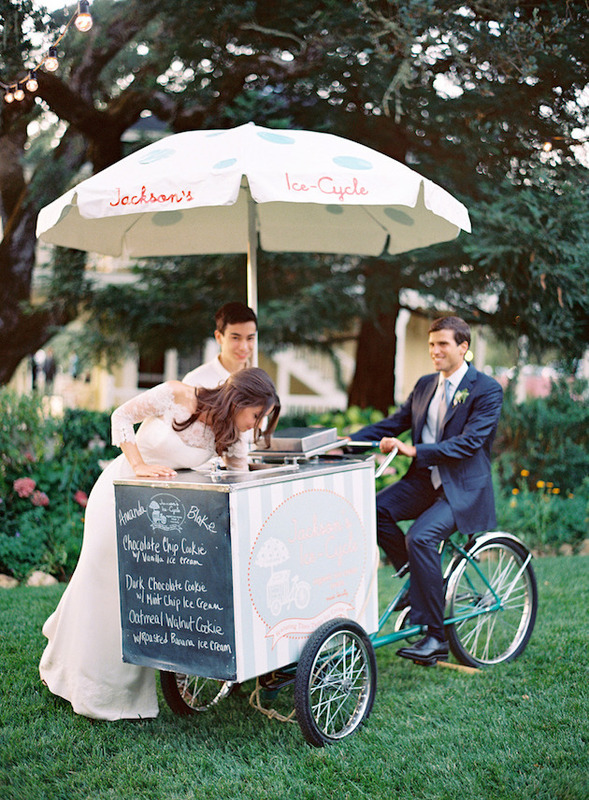 Image via The Budget Savvy Bride. Cocktail bars, sangria stations and pimp your prosecco stands are becoming incredibly popular at weddings and I love them. 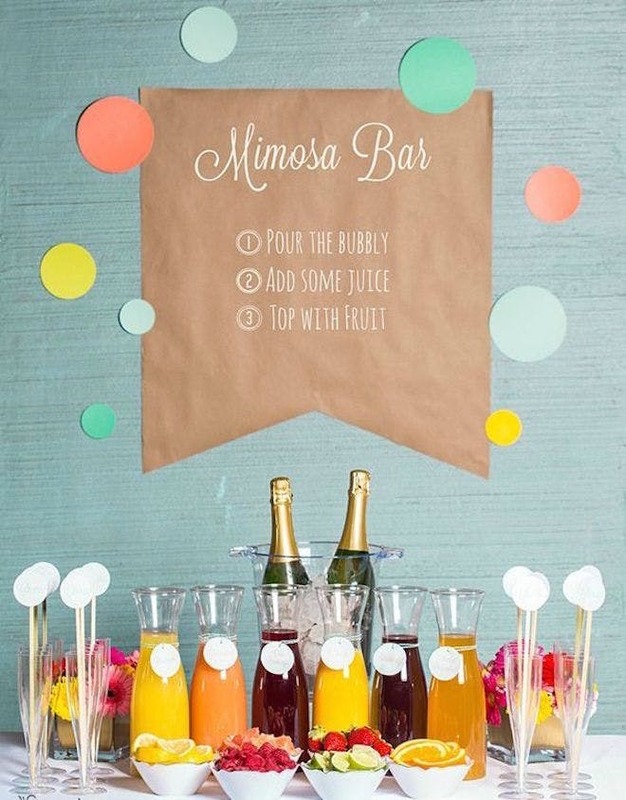 They allow your guests to take something pretty simple and make it their own, the mimosa bar above is genius as it will save you money on fizz! The perfect drink option for a fun and relaxed party. Image via Brit & Co. I hope that you found these ideas useful and that you’ll use them to inject a little of your unique personality into your wedding day. Happy planning!